Please use this area to tell us about your School Psychology experiences and/or tell us about an exciting announcement. Other members are able to respond and comment. URI Part Time Supervisor of School Psych Field Experiences Position Available!! The School Psychology Program within the Department of Psychology maintains two, overlapping but separate, professional training programs: a PhD program, and a MS program (a 3 year full-time program). This position is critical to the maintenance and further development of the program practica and internship components necessary to maintain current program accreditation by APA and approval by NASP. 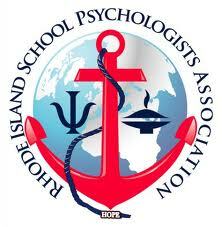 The School Psychology Program is seeking an individual who is both a RI licensed psychologist and a RI certified school psychologist to provide supervision to graduate students in various practicum placements and internships (schools, hospitals, and other servicedelivery agencies) throughout Rhode Island, and in nearby Massachusetts and Connecticut. Compensation is equivalent to two per-course sections per semester, approximately $8K per semester. The position will begin in January 2019 (spring semester). Please submit a letter of interest and a vitae to: Deena Mandes, Department of Psychology, Chafee Hall, 142 Flagg Road, Kingston, RI 02881 or electronically to dmandes@uri.edu by December 1, 2018. The Northern Rhode Island Collaborative (NRIC) is looking for School Psychologists to complete evaluations on a per-case basis. If you are interested, please contact Brian Quigg, Director of Educational Services at (401) 769-6445 (ext. 1), or e-mail at bquigg@nric-ri.org. We are asking for your help in completing an online survey part of a research study about school reintegration policies, procedures, and services that are available to youth returning to middle and high school following psychiatric hospitalization. It is open to all school psychologists working in a school serving middle or a high school students (i.e., serving grades 6-12). The survey is web-based and will take approximately 15 minutes to complete. For our results to accurately represent schools across the nation, your participation is very helpful and would be much appreciated. Take the School Reintegration Survey to complete the survey. If you decide to participate, you will be asked a series of questions about the schools in which you work, the populations your schools serve, and the available policies, procedures and services to students returning to schools following psychiatric hospitalization. Your answers will be completely confidential and will not be linked to any identifying information. This means that no identifying information (i.e. your name or email) can be associated with any of your responses. Your participation is completely voluntary. Although we hope you fill out the survey in its entirety, you can skip any questions you do not wish to answer. If you have any questions, please contact Dr. Marisa Marraccini, School of Education (919) 843-5099. This research has been reviewed by The University of North Carolina Institutional Review Board. South Kingstown School District needs a substitute school psychologist to help cover while someone is out on leave now until 3/1/2018. This person works between Broad Rock Middle School and West Kingston Elementary. They are looking for someone full time or they are open to someone 2-3 days per week. Suzanne Walsh at 888-416-4338 FAX: 888-416-7706 or email swalsh@precisionhr.net. The University of Rhode Island's Psychology Department has a lecturer position open to begin in January 2018!! Detailed information and position requirements are available at http://jobs.uri.edu/postings/2787 . Please click below to find out more about a .5 school psychologist position in Portsmouth Public Schools effective immediately. It is at the elementary level. The Bi-County Collaborative is seeking a qualified clinical director for its Therapeutic Middle and High School day programs. The Greene School is looking for .4 School Psychologist for the 2017/2018 School Year. This individual will serve as a member of the school's Evaluation Team and R.T.I. team. K-12 Experience preferred. Competitive salary. Contact Paul Vigeant, Director of Special Education at pvigeant@thegreeneschool.org. East Providence is looking for a school psychologist to fill a maternity leave beginning of January through March. Anyone interested should contact the Pupil Personnel Director, Bud MacDonnell.